Don’t let a bark become a bite! Are you worried about any aspects of dog ownership? Do you have an unwanted behaviour problem? Kate works closely with you and your dog to offer an individually tailored approach that aims to help solve problem behaviour. What is a holistic approach to behaviour modification? Kate offers a holistic approach to canine behaviour modification, looking to heal the mind, body and soul not simply address the training issue. Kate works closely with a homeopathic veterinary surgeon and may suggest referral for ‘sticky’ cases. For some problems she has found a combined approach of addressing the dog’s emotional needs with homeopathy can be more successful when combined with training. 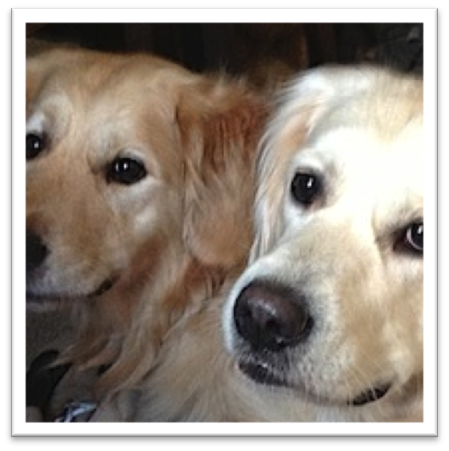 Kate’s considers every aspect of the dog’s life in order to not only address the specific issue, but to give the dog the best possible quality of life and prevent future behaviour problems. Canine enrichment is a key part of Kate’s approach. What types of problems are addressed? An initial consultation will last approximately 2 to 2.5 hours. You will be asked about your dog’s behaviour in detail, your lifestyle and dog’s relationship with members of the household and other pets. Your dog will be assessed and you will be advised on potential solutions in a detailed follow-up report clearly setting out a protocol for behaviour modification. A veterinary check is usually advised to exclude a possible underlying medical cause for your dog’s behaviour. Two follow-up appointments (usually by telephone or email) are included in the price of the initial consultation. How do telephone consultations work? Kate has worked very successfully a holistic veterinary surgeon via telephone consultations with her clients. This is a time efficient and cost-effective approach to working as there is no travelling involved. Video assessment is a key part of remote behaviour consultations and you will need to be able to upload videos of your dog for initial assessment and during the course of the training. Consultations are via telephone or Skype. Some behaviours are not suitable without assessment in person so please enquire. Will my dog grow out of the problem? Not necessarily. It is sometimes tempting to wait and see, however behaviour problems tend to worsen over time. It is advisable to seek professional advice as soon as possible and no problem is too small. The earlier advice is sought the more likely a successful outcome can be achieved but well-established behaviour problems are often complex in origin and a complete ‘cure’ cannot be guaranteed. Please call Kate for a FREE initial chat to discuss your dog’s needs.